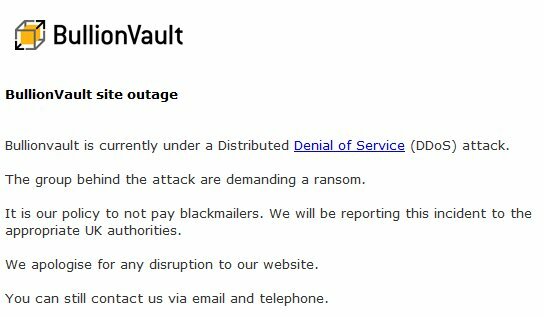 I know nothing about BullionVault other than that it is an online gold and silver dealer with reported international storage facilities. I have stated to people in the past that from my perspective it makes no sense to hold gold and silver with online outfits. It just adds an additional level of risk and you may not be able to get your coins during a crisis. You are much better off keeping physical gold and silver in your possession. If you want to trade gold and silver, a completely different game, use ETFs and futures. I agree RW, but if you do hold physical, don't forget to take pictures of yourself rolling around in it and watch progressives heads explode. Or do what Mark Dice does. Go around asking people if they'll buy it from you for 20$.